Undoubtedly Indian crowd has charmed him just the way he has charmed the Indian crowd. Many of us have grown up reading his novels. His fans in India affectionately call him Sachin Tendulkar of Books. Sachin Tendulkar he is indeed, after giving so many best selling and popular hits. What does Archer wish from India? Well, he wants to be sold at traffic signals across India. “That’s where, I am told, the top selling authors are sold,” he says jokingly. Salman Rushdie and Arunadhati Roy are competing with Yann Martel for The Best of the Booker. 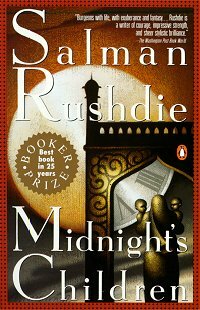 Rushdie’s Midnight’s Children is neck to neck in the race with The Life of Pi by Yann Martel. Rushdie won in 1981 and Martel in 2002. The Life of Pi is a fable of survival after a shipwreck (2002) while Midnight’s Children challenges ideas of history and nationhood (1981).